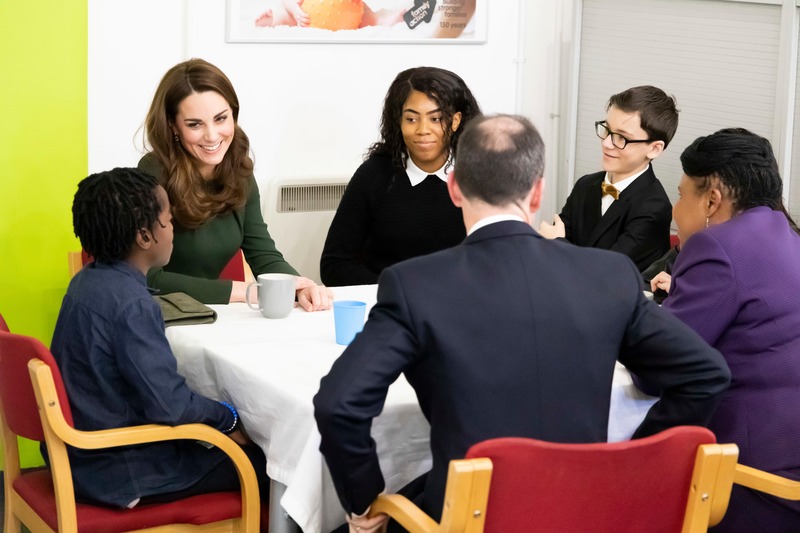 Duchess of Cambridge visits Family Action to launch FamilyLine and help get families talking about their pressures. 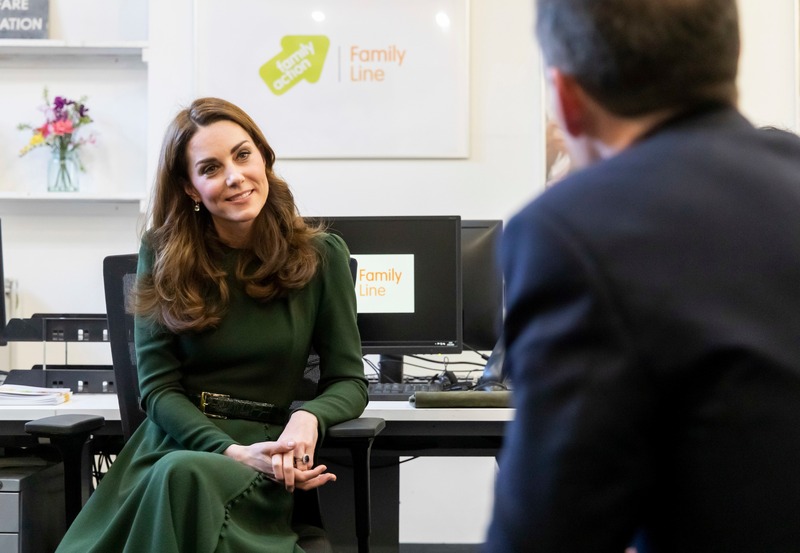 Today the Duchess of Cambridge visited Family Action to launch FamilyLine, a new confidential helpline for families, after research by the national charity found family members want to talk about problems but don’t always know who to turn to. The Duchess met FamilyLine staff and volunteers and talked with two families and a group of young carers supported by Family Action. To mark the 150th anniversary of Family Action this year, the charity’s Family Monsters Project aims to help families with everyday pressures. One in three people (32%) want to talk to someone about money, health, or relationships issues. However, things get in the way of asking for help, such as being unsure who to ask (14%), thinking their family should be able to overcome pressures without external support (13%), or feeling other people need more support than them (12%). FamilyLine is open weekday evenings and weekend mornings to support any family member struggling with any aspect of family life, such as parenting challenges, family conflict, relationship difficulties or mental health and wellbeing. Calls, emails or text messages are answered quickly, and in confidence, by a team of trained volunteers under the supervision of Family Action experts. 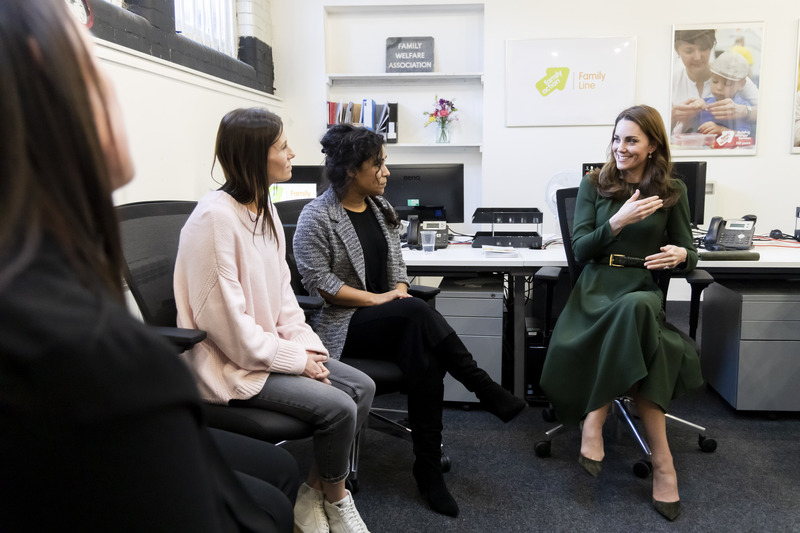 The Duchess met FamilyLine volunteers and managers during a training session about maternal mental ill health. The training was facilitated by an expert from Family Action’s perinatal support services, which help mothers struggling with mental ill health. Maternal mental health is one of the family pressures featured in a new Family Monsters Project short film. 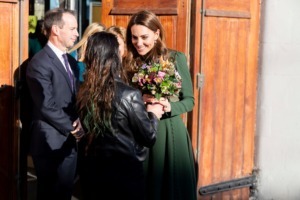 The Duchess watched the film with two families, and then talked with them about how they had dealt with their own pressures. The film is being shown in cinemas nationwide this January, and is available to watch, download and share. You can also find out more by visiting www.familymonstersproject.com. Her Royal Highness also spoke with a group of young carers during her visit. Family Action’s young carers services help young carers cope with the pressures on themselves and their families, to meet other young carers, and focus on their own wellbeing and future, as well as, the members of their family they help care for. Family Action Chief Executive, David Holmes, CBE, who is a member of the steering group on early years convened by the Duchess of Cambridge, said: “We are so grateful to HRH The Duchess of Cambridge for visiting Family Action’s services today, for her interest in our work addressing family pressures and for officially launching FamilyLine. The Duchess’s support will encourage many more families to talk about their “family monsters”. To find out how the Family Monsters Project is helping every family face their pressures go to www.familymonstersproject.com or follow #MyFamilyMonsters on social media. Family Action is a national charity marking its 150th anniversary in 2019. Around 45,000 families and hundreds of thousands of children are supported by Family Action every year. As well as, the new FamilyLine, its wide-ranging work includes help for parents-to-be, the provision of Children’s Centres, intensive family support, emotional health and wellbeing services, counselling, mediation and therapies, support in schools – including the provision of breakfast clubs and holiday hunger support, and financial grants programmes. Family Action is also recognised as a leading provider of training and consultancy. The new research from Family Action was conducted by ICM Unlimited about the everyday pressures their family faces. The people who took part in the research are a representative sample of people living in Great Britain and some of the results have been converted to estimated population numbers that are indicative of the number of people in the whole British population. This has been calculated using percentage claims from the research sample and most recent UK population estimates from ONS (mid-2017). ICM Unlimited interviewed two representative samples of 2,050 and 2,044 adults aged 18+ between 11-13 May 2018 and 25-27 July 2018. Interviews were conducted across Great Britain and results have been weighted to the profile of all adults. ICM is a member of the British Polling Council and abides by its rules. For more information or to set up an interview with David Holmes, please contact Jane Elston at Family Action: phone: 020 7241 7621, out of hours mobile: 07903 074 174, email: media-pr@family-action.org.uk. Our free FamilyLine is open weekday evenings and weekend mornings, and is all accessible via telephone, text message or email. Calls, text messages or emails, are answered quickly and in confidence, by a team of trained volunteers under the supervision of Family Action’s experts. Join the conversation on social media and share your family monsters using #MyFamilyMonsters. Let’s face our monsters together. The Family Monsters Project film was made in partnership with And Rising and directed by Duncan Christie. Production was by Great Guns and animation by BlindPig at Absolute Post.